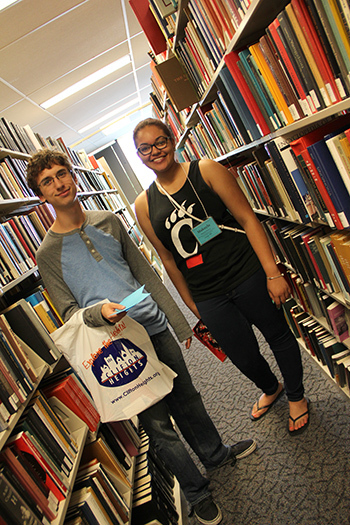 This summer, Langsam Library is a busy place as over 4,000 incoming students participating in UC’s New Student Orientation visit and learn about the spaces, places and people of UC Libraries. 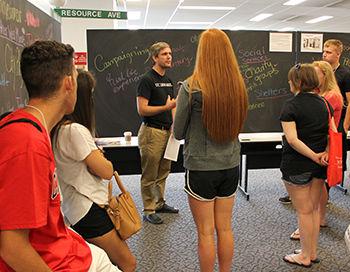 While in Langsam, they engage in activities designed to be both entertaining and informative about the various research resources, assistance and services they can utilize when they begin classes in the fall. New students in the stacks. The students are participating in fun and interactive activities such as writing on the Information Chalkboard as they learn about how to find and evaluate resources. 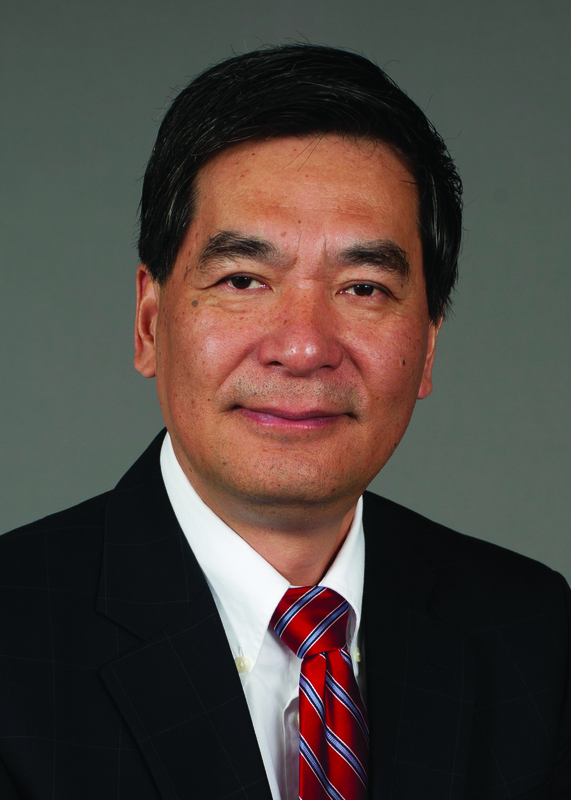 They watch a video that showcases some of the projects produced by fellow UC students with the services and assistance made available in the Student Technology Resources Center (STRC). They learn how to locate library resources in the catalog and take a walking tour of the 5th floor of the library where they find where books are located in the stacks and visit UCit@Langsam, the 24-hour computer and study area. In addition, they learn how to print and get an introduction to the UC Libraries website.